Oman and Afghanistan have grabbed the last two places in next year’s ICC World Twenty20 tournament in India. Afghanistan overcame Papua New Guinea by six wickets with 10 balls to spare at Malahide, Dublin, to qualify for the event for the fourth successive time. Oman then beat Namibia by five wickets at the same venue to qualify for their first major global cricket tournament. The victory also means Oman have been granted Twenty20 international status by the International Cricket Council. For the equivalent women’s tournament, see ICC Women’s World Twenty20. For the ICC Twenty20 ranking scheme, see ICC T20I Championship. The team ranking in each tournament is according to ICC. The number in bracket indicates number of wins in tied matches by Super Over, Bowl out or any other c, however these are considered as half a win regardless of the result. The win percentage excludes no results and counts ties (irrespective of a tiebreaker) as half a win. 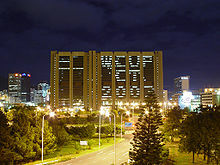 The inaugural event, the 2007 ICC World Twenty20, was staged in South Africa. Pakistan were originally selected to host it. It ran from 11–24 September 2007. The tournament was won by India, who became the first World T20 Champions after defeating Pakistan by 5 runs in the final at theWanderers Stadium in Johannesburg. The second event, the 2009 ICC World Twenty20 took place in England from 5–21 June 2009. This tournament was won by the previous runners-up Pakistan who defeated Sri Lanka by 8 wickets in the final at Lord’s, London. The third tournament, the 2010 ICC World Twenty20 was held from 30 April–16 May 2010 and hosted by the West Indies. The winners were England who defeated Australia by 7 wickets in the final atKensington Oval, Barbados. This was the first ever ICC tournament won byEngland. 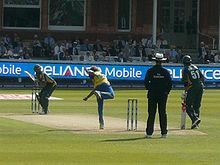 The fourth tournament, the 2012 ICC World Twenty20, was held from 18 September to 7 October 2012 and was hosted by Sri Lanka. The winners were West Indies who defeated Sri Lanka by 36 runs, their first appearance in a World cricket final since 1983 and their first victory since 1979. The fifth tournament, the 2014 ICC World Twenty20, was held from 16 March to 6 April. The winners of the tournament were Sri Lanka, who made it to the finals for the third time, by beating India by 6 wickets.The ICC World Twenty20 (also referred to as the ICC World T20 or theWorld Twenty20) is the international championship of Twenty20 cricket. Organised by cricket‘s governing body, the International Cricket Council (ICC), the tournament consists of 12 teams, comprising all ten ICC full members and two other ICC members chosen through the ICC World Twenty20 Qualifier. The event is generally held every two years, and all matches are accordedTwenty20 International status. The 2014 event was a host to 16 nations. See the full list below. When the Benson & Hedges Cup ended in 2002, the ECB needed another one day competition to fill its place. Cricketing authorities were looking to boost the game’s popularity with the younger generation in response to dwindling crowds and reduced sponsorship. It was intended to deliver fast paced, exciting cricket accessible to thousands of fans who were put off by the longer versions of the game. Stuart Robertson, the marketing manager of the ECB, proposed a 20 over per innings game to county chairmen in 2001 and they voted 11–7 in favour of adopting the new format. The first official Twenty20 matches were played on 13 June 2003 between the English counties in the Twenty20 Cup. The first season of Twenty20 in England was a relative success, with the Surrey Lions defeating theWarwickshire Bears by 9 wickets in the final to claim the title. The first Twenty20 match held at Lord’s, on 15 July 2004 between Middlesex andSurrey, attracted a crowd of 27,509, the largest attendance for any county cricket game at the ground other than a one-day final since 1953. Soon after with the adoption of Twenty20 matches by other cricket boards, the popularity of the format grew with unexpected crowd attendance, new regional tournaments such as Pakistan’s Faysal Bank T20 Cup andStanford 20/20 tournament and the financial incentive in the format. The West Indies regional teams competed in what was named theStanford 20/20 tournament. The event was financially backed by billionaire Allen Stanford, who gave at least US$28,000,000 funding money. It was intended that the tournament would be an annual event. Guyana won the inaugural event, defeating Trinidad and Tobago by 5 wickets, securing US$1,000,000 in prize money. A spin-off tournament, the Stanford Super Series, was held in October 2008 between Middlesex and Trinidad and Tobago, the respective winners of the English and Caribbean Twenty20 competitions, and a Stanford Superstars team formed from West Indies domestic players; Trinidad and Tobago won the competition, securing US$280,000 prize money. On 1 November, the Stanford Superstars played England in what was expected to be the first of five fixtures in as many years with the winner claiming a US$20,000,000 in each match. On 17 February 2005 Australia defeated New Zealand in the first men’s full international Twenty20 match, played at Eden Park in Auckland. The game was played in a light-hearted manner – both sides turned out in kit similar to that worn in the 1980s, the New Zealand team’s a direct copy of that worn by the Beige Brigade. Some of the players also sported moustaches/beards and hair styles popular in the 1980s taking part in a competition amongst themselves for best retro look, at the request of the Beige Brigade. Australia won the game comprehensively, and as the result became obvious towards the end of the NZ innings, the players and umpires took things less seriously – Glenn McGrath jokingly replayed the Trevor Chappell underarm incident from a 1981 ODI between the two sides, and Billy Bowden showed him a mock red card (red cards are not normally used in cricket) in response. Lasith Malinga bowling to Shahid Afridi in the 2009 Final at Lord’s. It was first decided that every two years an ICC World Twenty20 tournament is to take place, except in the event of an Cricket World Cup being scheduled in the same year, in which case it will be held the year before. The first tournament was in2007 in South Africa where India defeated Pakistan in the final. Two Associate teams had played in the first tournament, selected through the 2007 ICC World Cricket League Division One, a 50-over competition. In December 2007 it was decided to hold a qualifying tournament with a 20-over format to better prepare the teams. With six participants, two would qualify for the 2009 World Twenty20 and would each receive $250,000 in prize money. The second tournament was won by Pakistan who beat Sri Lanka by 8 wickets in England on 21 June 2009. The 2010 ICC World Twenty20 tournament was held in West Indies in May 2010, whereEngland defeated Australia by 7 wickets. The 2012 ICC World Twenty20 was won by the West-Indies, by defeating Sri Lanka at the finals. For the first time, a host nation competed in the final of the ICC World Twenty20. There were 12 participants for the title including Ireland and Afghanistan as 2012 ICC World Twenty20 Qualifier. It was the first time the T20 World Cup tournament took place in an Asian country. The 2012 edition was to be expanded into a 16 team format however this was reverted to 12. The 2014 tournament, held in Bangladesh was the first to feature 16 teams including all ten full members and six associate members who qualified through the 2013 ICC World Twenty20 Qualifier. However the top eight full member teams in the ICC T20I Championshiprankings on 8 October 2012 were given a place in the Super 10 stage. The remaining eight teams competed in the group stage, from which two teams advance to the Super 10 stage. Three new teams (Nepal, Hong Kong and UAE) made their debut in this tournament. All Test-playing nations achieve automatic qualification to the tournament, with the remaining places filled by other ICC members through a qualification tournament. Qualification for the 2007 ICC World Twenty20 came from the results of the first cycle of the World Cricket League, a 50-over league for non-Test playing nations. The two finalists of the Division Onetournament (Kenya and Scotland) qualified for the inaugural tournament alongside the Test-playing nations. For subsequent tournaments, qualification has been achieved through the World Twenty20 Qualifier, with Afghanistan (2010 and 2012), Ireland (2009, 2010, and 2012), Netherlands (2009), and Scotland (2009) each having qualified through this process. In case of a tie (that is, both teams scoring the same number of runs at the end of their respective innings), a Super Overwould decide the winner. In the case of a tie occurring again in the Super Over, the match is won by the team that has scored the most sixes in their innings. This is applicable in all stages of the tournament, having been implemented during the 2009 tournament. During the 2007 tournament, a bowl-out was used to decide the loser of tied matches. The International Cricket Council’s executive committee votes for the hosts of the tournament after examining bids from the nations which have expressed an interest in holding the event. After South Africa in 2007, England, West Indies and Sri Lanka hosted the tournament in 2009, 2010 and 2012 respectively. The last tournament was hosted by Bangladesh in 2014. India will host the 2016 tournament. The ICC Women’s World Twenty20 is the international Twenty20 competition for women which runs parallel to the men’s ICC World Twenty20. The even is organised by the sport’s governing body, the International Cricket Council. The tournament originally consisted of eight teams, the top six teams of the ICC Women’s T20 rankings and the rest two determined by a qualification process and in 2014 it was expanded to total of 10 participating teams. The tournament was first held in 2009, when hosts England won the tournament. The most recent champions are Australia, who won the tournament and retained the trophy in 2014. Qualification is determined by the ICC Women’s Twenty20 international rankings and a qualification event. Until 2014, six teams were determined by the top six teams of the ICC Women’s Twenty20 International rankings at the time of the draw and the remaining two places determined by a qualification process. For the 2014 tournament, six places are determined by the top eight teams of the ICC Women’s T20I rankings, with the host country and three qualifiers joining them in the finals. In case of a Tie (i.e. both teams score exactly the same number of runs at the end of their respective innings), a Super Over would decide the winner. In case of a Tie again in the Super Over, the match is won by the team that has scored the most 6s in their innings. This is applicable in all stages of the tournament. The ten teams are divided into two groups of five, A and B. Every team in the group plays all the other teams in a round-robin format. The top team in group A will play the runner-up in group B for a place in the final. Likewise, the top team in group B will play the runner-up in group A for the other final berth. Guaranteed qualification for the 2016 tournament for two teams will be determined from a similar “play-off” between the third and fourth placed teams in each group. The inaugural Women’s World T20 host was England in 2009. This was followed by West Indies hosting the event in 2010,Sri Lanka in 2012 and Bangladesh in 2014. The next tournament will be held in India in 2016. The ICC announced that since England were one of the earliest adopters of the game, they should host one of the earliest tournaments. This article is about the main tournament. For the women’s tournament, see Women’s Cricket World Cup. For the ongoing tournament, see 2015 Cricket World Cup. The table below provides an overview of the performances of teams over past World Cups, as of the end of the 2011 tournament. Teams are sorted by best performance, then total number of wins, then total number of games, then by alphabetical order. The ICC Cricket World Cup is the international championship of One Day International (ODI) cricket. The event is organised by the sport’s governing body, the International Cricket Council (ICC), with preliminary qualification rounds leading up to a finals tournament held every four years. 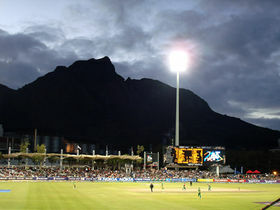 The tournament is one of the world’s most viewed sporting events and is considered the “flagship event of the international cricket calendar” by the ICC. The first World Cup was organised in England in June 1975, with the first ODI cricket match having been played only four years prior. However, a separateWomen’s Cricket World Cup had been held two years before the first men’s tournament, and a tournament involving multiple international teams had been held as early as 1912, when a triangular tournament of Test matches was played between Australia, England and South Africa. Each of the first three World Cups were held in England. From the 1987 tournament onwards, hosting has been shared between countries under an unofficial rotation system, with fourteen ICC members having hosted at least one match in the tournament. The finals of the World Cup are contested by the ten full members of the ICC (all of which are Test-playing teams) and a number of teams made up fromassociate and affiliate members of the ICC, selected via the World Cricket League and a later qualifying tournament. A total of 19 teams have competed in the ten editions of the tournament, with 14 competing in the 2011 tournament. Australia has won the tournament four times, with the West Indies, India (twice each), Pakistan and Sri Lanka (once each) also having won the tournament. The best performance by a non-full-member team came when Kenya made the semi-finals of the 2003 tournament. The first ever international cricket match was played between Canada and the United States, on 24 and 25 September 1844. However, the first credited Test match was played in 1877 between Australia and England, and the two teams competed regularly for The Ashes in subsequent years. South Africa was admitted to Test status in 1889. Representative cricket teams were selected to tour each other, resulting in bilateral competition. Cricket was also included as an Olympic sport at the 1900 Paris Games, where Great Britain defeated France to win the gold medal. This was the only appearance of cricket at the Summer Olympics. The first multilateral competition at international level was the 1912 Triangular Tournament, a Test cricket tournament played in England between all three Test-playing nations at the time: England, Australia and South Africa. The event was not a success: the summer was exceptionally wet, making play difficult on damp uncovered pitches, and attendances were poor, attributed to a “surfeit of cricket”. In subsequent years, international Test cricket has generally been organised as bilateral series: a multilateral Test tournament was not organised again until the triangular Asian Test Championship in 1999. The number of nations playing Test cricket increased gradually over the years, with the addition of West Indies in 1928,New Zealand in 1930, India in 1932, and Pakistan in 1952. However, international cricket continued to be played as bilateral Test matches over three, four or five days. In the early 1960s, English county cricket teams began playing a shortened version of cricket which only lasted for one day. Starting in 1962 with a four-team knockout competition known as the Midlands Knock-Out Cup, and continuing with the inaugural Gillette Cup in 1963, one-day cricket grew in popularity in England. A national Sunday League was formed in1969. The first One-Day International match was played on the fifth day of a rain-aborted Test match between England and Australia at Melbourne in 1971, to fill the time available and as compensation for the frustrated crowd. It was a forty overgame with eight balls per over. Eight teams participated in the first tournament: Australia, England, India, New Zealand, Pakistan, and the West Indies (the six Test nations at the time), together with Sri Lanka and a composite team from East Africa. One notable omission was South Africa, who were banned from international cricket due to apartheid. The tournament was won by the West Indies, who defeated Australia by 17 runs in the final at Lord’s. The 1983 event was hosted by England for a third consecutive time. By this stage, Sri Lanka had become a Test-playing nation, and Zimbabwe qualified through the ICC Trophy. A fielding circle was introduced, 30 yards (27 m) away from thestumps. Four fieldsmen needed to be inside it at all times. The teams faced each other twice, before moving into the knock-outs. India, an outsider quoted at 66–1 to win by bookmakers before the competition began, were crowned champions after upsetting the West Indies by 43 runs in the final. India and Pakistan jointly hosted the 1987 tournament, the first time that the competition was held outside England. The games were reduced from 60 to 50 overs per innings, the current standard, because of the shorter daylight hours in theIndian subcontinent compared with England’s summer. Australia won the championship by defeating England by 7 runs in the final, the closest margin in World Cup final history. The 1992 World Cup, held in Australia and New Zealand, introduced many changes to the game, such as coloured clothing, white balls, day/night matches, and a change to the fielding restriction rules. The South African cricket team participated in the event for the first time, following the fall of the apartheid regime and the end of the international sports boycott.Pakistan overcame a dismal start in the tournament to eventually defeat England by 22 runs in the final and emerge as winners. 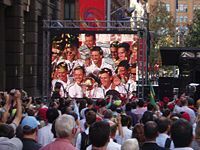 A large crowd of over 10,000 fans welcome the Australian team on completing the first World Cuphat-trick – Martin Place, Sydney. South Africa, Zimbabwe and Kenya hosted the 2003 World Cup. The number of teams participating in the event increased from twelve to fourteen. Kenya‘s victories over Sri Lanka and Zimbabwe, among others – and a forfeit by the New Zealand team, which refused to play in Kenya because of security concerns – enabled Kenya to reach the semi-finals, the best result by an associate. In the final, Australia made 359 runs for the loss of two wickets, the largest ever total in a final, defeating India by 125 runs. In 2007 the tournament was hosted by the West Indies and expanded to sixteen teams. Following Pakistan’s upset loss to World Cup debutants Ireland in the group stage, Pakistani coach Bob Woolmer was found dead in his hotel room. Jamaican police had initially launched a murder investigation into Woolmer’s death but later confirmed that he died of heart failure. Australia defeated Sri Lanka in the final by 53 runs (D/L) in farcical light conditions, and extended their undefeated run in the World Cup to 29 matches and winning three straight championships. Qualifying tournaments were introduced for the second World Cup, where two of the eight places in the finals were awarded to the leading teams in the ICC Trophy. The number of teams selected through the ICC Trophy has varied throughout the years; currently, six teams are selected for the Cricket World Cup. The World Cricket League (administered by theInternational Cricket Council) is the qualification system provided to allow the Associate and Affiliate members of the ICC more opportunities to qualify. The name “ICC Trophy” has been changed to “ICC World Cup Qualifier”. Regional tournaments: Top teams from each regional tournaments will be promoted to a division depending on the teams’ rankings according to the ICC and each division’s empty spots. The format of the Cricket World Cup has changed greatly over the course of its history. Each of the first four tournaments was played by eight teams, divided into two groups of four. The competition consisted of two stages, a group stage and a knock-outstage. The four teams in each group played each other in the round-robin group stage, with the top two teams in each group progressing to the semi-finals. The winners of the semi-finals played against each other in the final. With South Africa returning in the fifth tournament in 1992 as a result of the end of the apartheid boycott, nine teams played each other once in the group phase, and the top four teams progressed to the semi-finals. The tournament was further expanded in 1996, with two groups of six teams. The top four teams from each group progressed to quarter-finals and semi-finals. A new format was used for the 1999 and 2003 World Cups. The teams were split into two pools, with the top three teams in each pool advancing to the Super 6. The Super 6 teams played the three other teams that advanced from the other group. As they advanced, the teams carried their points forward from previous matches against other teams advancing alongside them, giving them an incentive to perform well in the group stages. The top four teams from the Super 6 stage progressed to the semi-finals, with the winners playing in the final. The format used in the 2007 World Cup features 16 teams allocated into four groups of four. Within each group, the teams play each other in a round-robin format. Teams earn points for wins and half-points for ties. The top two teams from each group move forward to the Super 8 round. The Super 8 teams play the other six teams that progressed from the different groups. Teams earned points in the same way as the group stage, but carried their points forward from previous matches against the other teams who qualified from the same group to the “Super 8” stage. The top four teams from theSuper 8 round advance to the semi-finals, and the winners of the semi-finals play in the final. The format used in the 2011 and 2015 World Cups features two groups of seven teams, each playing in a round-robin format. The top four teams from each group proceed to the knock out stage consisting of quarter-finals, semi-finals and ultimately the final. The ICC Cricket World Cup Trophy is presented to the winners of the World Cup. 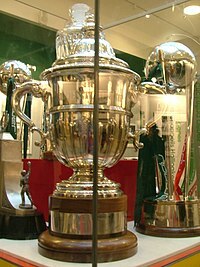 The current trophy was created for the 1999 championships, and was the first permanent prize in the tournament’s history. Prior to this, different trophies were made for each World Cup. The trophy was designed and produced in London by a team of craftsmen from Garrard & Coover a period of two months. The current trophy is made from silver and gild, and features a golden globe held up by three silver columns. The columns, shaped as stumps and bails, represent the three fundamental aspects of cricket: batting, bowling and fielding, while the globe characterises a cricket ball. It stands 60 centimetres high and weighs approximately 11 kilograms. The names of the previous winners are engraved on the base of the trophy, with space for a total of twenty inscriptions. The ICC keeps the original trophy. A replica differing only in the inscriptions is permanently awarded to the winning team. The tournament is the world’s third largest (with only the FIFA World Cup and the Summer Olympics exceeding it), being televised in over 200 countries to over 2.2 billion television viewers.Television rights, mainly for the 2011 and 2015 World Cup, were sold for over US$1.1 billion, and sponsorship rights were sold for a further US$500 million. The 2003 Cricket World Cup matches were attended by 626,845 people, while the 2007 Cricket World Cup sold more than 672,000 tickets. Successive World Cup tournaments have generated increasing media attention as One-Day International cricket has become more established. The 2003 World Cup in South Africa was the first to sport a mascot, Dazzler the zebra. An orange mongoose known as Mello was the mascot for the2007 Cricket World Cup. Stumpy, a blue elephant was the mascot for the 2011 World Cup. The International Cricket Council’s executive committee votes for the hosts of the tournament after examining the bids made by the nations keen to hold a Cricket World Cup. Twenty nations have qualified for the Cricket World Cup at least once (excluding qualification tournaments). Seven teams have competed in every finals tournament, five of which have won the title. The West Indies won the first two tournaments,Australia has won four, India has won two, while Pakistan and Sri Lanka have each won once. The West Indies (1975 and 1979) and Australia (1999, 2003 and 2007) are the only nations to have won consecutive titles. Australia has played in six of the ten final matches (1975, 1987, 1996, 1999, 2003, 2007). England has yet to win the World Cup, but has been runners-up three times (1979, 1987, 1992). The best result by a non-Test playing nation is the semi-final appearance by Kenya in the 2003 tournament; while the best result by a non-Test playing team on their debut is the Super 8 (second round) by Ireland in 2007. Sri Lanka as a co-host of the 1996 Cricket World Cup was the first host to win the tournament, though the final was held in Pakistan. India won in 2011 as host and was the first team to win in a final played in their own country. England is the only other host to have made the final, in 1979. Other countries which have achieved or equalled their best World Cup results while co-hosting the tournament are New Zealand as semi-finalists in 1992; Zimbabwe who reached the Super Six in 2003; and Kenya as semi-finalists in 2003. 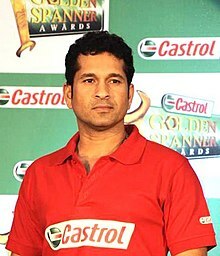 In 1987, co-hosts India and Pakistan both reached the semi-finals, but were eliminated by Australia and England respectively. Australia in 1992, England in 1999, South Africa in 2003, andBangladesh in 2011 have been the host teams that were eliminated in the first round. The ICC Under-19 Cricket World Cup is an international cricket tournament contested by national Under-19 teams. The tournament was not staged after its first edition in 1988 till 1998 and since then has been organised by the ICC as a biennial event. The number of competing teams in the tournament has increased from eight in 1988 to the present 16 giving an opportunity for a number of associate and affiliate teams to showcase their talent. The table below provides an overview of the performances of teams over past Under 19 World Cups, as at the end of the2014 tournament. Teams are sorted by best performance, then winning percentage, then (if equal) by alphabetical order. The inaugural event was titled the McDonald’s Bicentennial Youth World Cup, and was held in 1988 as part of theAustralian Bicentenary celebrations. It took place in South Australia and Victoria. Teams from the seven Test-playing nations, as well as an ICC Associates XI, competed in a round-robin format. Australia lost only one match, their final round-robin game against Pakistan by which time they had qualified for the semis. They went on to beat Pakistan by five wickets in the final, thanks to an unbeaten hundred from Brett Williams. England and West Indies made up the last four, but India were the real disappointments. After opening with a good win against England, they suffered hefty defeats in four matches to be knocked out early. The tournament was notable for the number of future international players who competed. Future England captains Nasser Hussain and Mike Atherton played, as did Indian spinner Venkatapathy Raju, New Zealand all-rounder Chris Cairns, Pakistanis Mushtaq Ahmed and Inzamam-ul-Haq, Sri Lankan Sanath Jayasuriya, and West IndiansBrian Lara, Ridley Jacobs, and Jimmy Adams. Australia’s Brett Williams was the leading run-scorer, with 471 runs at anaverage of 52.33. Wayne Holdsworth from Australia and Mushtaq Ahmed were the leading wicket-takers, with 19 wickets ataverages of 12.52 and 16.21 respectively. England were the unexpected winners of the second Under-19 World Cup in South Africa. In 1998, the event was relaunched in South Africa as a biennial tournament. The only previous tournament of its kind was held ten years earlier. In addition to the nine Test-playing nations, there were teams from Bangladesh, Kenya, Scotland, Ireland, Denmark, Namibiaand Papua New Guinea. The teams were divided into four pools, named after Gavaskar, Sobers, Cowdrey and Bradman, and the top two sides from each progressed to two Super League pools, whose winners advanced to the final. In order to give everyone a decent amount of cricket, the non-qualifiers competed in a Plate League, won by Bangladesh, who beatWest Indies in the final. West Indies failed to qualify for the Super League after a fiasco concerning the composition of their squad – they arrived with seven players who contravened the age restrictions for the tournament. The Super League, in which every game was covered live on South African satellite television, also threw up a number of shocks and tense finishes; both pools came down to net run-rate at the finish. England, from being down and almost out, beat Pakistan – who surprisingly lost all three of their games – but lost a rain-affected match to India. Australia had beaten India and Pakistan and were favourites to reach the final. Only a massive defeat by England could deny them: but that is precisely what they suffered. In front of a crowd of about 6,000 at Newlands, they were bowled out for 147. New Zealand joined England in the final, where a century from England’s Stephen Peters won the day. Chris Gayle was the tournament’s leading run-scorer, with 364 runs at an average of 72.80. West Indian Ramnaresh Sarwan and Zimbabwean Mluleki Nkala were the leading wicket-takers, with 16 wickets at 10.81 and 13.06 respectively. The 2000 tournament was held in Sri Lanka, and replicated the format from 1998. Participating nations included the nine Test-playing nations, as well as Bangladesh, Kenya, Ireland, Namibia, Holland, Nepal and the Americas. To the disappointment of a large crowd at Colombo’s SSC, Sri Lanka fell at the final hurdle in a final dominated by India. The winners remained unbeaten throughout, and destroyed Australia by 170 runs in the semi-final to underline their supremacy. In the other semi-final, Sri Lanka delighted a crowd of 5000 at Galle by beating Pakistan. The fact that three of the four semi-finalists were from Asia and so more attuned to the conditions was coincidental – they played the better cricket and, in Pakistan’s case, had a very experienced squad. England, the defending champions, were most disappointing, and they won only one match against a Test-playing country, and that a last-ball victory over Zimbabwe. South Africa, one of the favourites, were desperately unlucky to be eliminated after three no-results gave them three points while Nepal, with four points courtesy of one win over Kenya, went through to the Super League instead. The format of the tournament was as in 1997-98, with four groups of four and then a Super League and final. Graeme Smith was the tournament’s leading run-scorer, with 348 runs at an average of 87.00. Pakistan’s Zahid Saeed was the leading wicket-taker, with 15 wickets at 7.60. India’s Yuvraj Singh was named Man of the Series. India clinched the title for the first time under the captaincy ofMohammed Kaif. The fourth Under-19 World Cup held in New Zealand only confirmed Australia’s dominance of the game, and from their opening match, when they obliterated Kenya by 430 runs, through to their comprehensive victory over South Africa in the final, they were never threatened. Participating nations included the ten Test-playing nations, plus Canada, Kenya, Namibia, Nepal, Papua New Guinea, and Scotland. Their captain, Cameron White, was singled out for praise for his leadership, and he chipped in with 423 runs at 70.50. And they didn’t rely on pace either, playing only two seamers and four slow bowlers, with Xavier Doherty, a slow left-armer, leading the wicket-takers with 16 at 9.50 and all without a single wide. In contrast, India, the holders, underperformed in their semi-final against South Africa, a team they had easily beaten a week or so earlier. They also suffered embarrassing defeats to neighbours Pakistan and Bangladesh. Pakistan, however, provided the main upset when they lost to Nepal by 30 runs, and Nepal also gave England a few uneasy moments. Zimbabwe won the plate competition, with their expected opponents, Bangladesh, beaten in the semi-final by Nepal. Australian Cameron Whitewas the tournament’s leading run-scorer, with 423 runs at an average of 70.50 and Xavier Doherty was the leading wicket-taker, with 16 wickets at 9.50. Tatenda Taibu, Zimbabwe’s captain, was Man of the Series for his 250 runs and 12 wickets, not to mention his wicket-keeping in between bowling stints. The 2004 tournament was held in Bangladesh. More than 350,000 spectators saw the 54 matches played in the tournament. The finale ended with a close final between the two best teams – West Indies and Pakistan. It was won by Pakistan by 25 runs against West Indies and a 30,000 crowd acclaimed the victorious Pakistanis almost as their own. The players, from the ten Test countries and six other nations, were feted wherever they went, and the appetite for cricket was remarkable: even Zimbabwe v Canada sold out. The shock was the elimination from the main competition of holders Australia, bowled out for 73 and beaten by Zimbabwe in the group stage when Tinashe Panyangara took 6 for 31, the second-best figures in the competition’s history. And Australia then lost to Bangladesh in the plate final amid thumping drums and gleeful celebrations. The downside was the quality of the cricket, which was often mediocre on some indifferent pitches, and the reporting of six unidentified bowlers for having suspect actions. Pakistan would have finished unbeaten but for a hiccup against England – when both teams had already qualified for the semis. England reached the last four, which was progress, and Alastair Cook looked a class apart. But they came unstuck against West Indies’ spinners in the semi-final. India completed the semi-finalists. Dhawan and Suresh Raina were the backbone of a strong batting line-up, and Raina’s 90 from just 38 balls against the hapless Scots was as brutal an innings as one will see at any level. Both looked international-class already, though faced with a tough task breaking into their senior side’s formidable top order. The captain Ambati Rayudu had been hailed as the next great batting hope, having scored a century and a double in a first-class match at the age of 17. But he did not score the runs promised and was banned by the referee John Morrison from the semi-final after allowing a funereal over-rate during the Super League win against Sri Lanka: eight overs were bowled in the first 50 minutes. India’s Shikhar Dhawan was named Man of the Tournament, and was the tournament’s leading run-scorer, with 505 runs at an average of 84.16. Bangladeshi Enamul Haque was the leading wicket-taker, with 22 wickets at 10.18. This tournament was always going to struggle to live up to the overwhelming response that greeted the previous event in Bangladesh. Despite free tickets the matches were sparsely attended even when the home side were in action, but it shouldn’t detract from an impressive two weeks which finished with Pakistan securing their second consecutive title in an extraordinary final against India at the Premadasa Stadium. Pakistan crumbled to 109, but in a thrilling passage of play reduced India to 9 for 6. Jamshed Ahmed and Anwar Ali, two of the success stories of the tournament, did the damage and there was no way back for India who fell 38 runs short. These two teams and Australia were the pick of the sides and along with England – who surpassed expectation to reach the semi-finals after beating a talented Bangladesh side – made up the final four. A number of players caught the eye, notably Australia captain Moises Henriques, the Indian batsmen Sumit thakur – the tournament’s leading run-scorer – and team-mate Rohit Sharma, along with legspinner Piyush Chawla, who a few weeks later made his Test debut against England. However, perhaps the best story of the tournament was Nepal claiming the Plate trophy after a thrilling victory against New Zealand having also beaten South Africa during the event. It was the first time the tournament was held in an Associate Member country. The 2008 Under-19 Cricket World Cup was held in Malaysia from 17 February to 2 March 2008. Along with hosts, 15 other teams battled in 44 matches packed into 15 days across three cities. India, still smarting from the loss in the previous edition had reason to be upbeat with Tanmay Srivastava, a mature batsman who eventually finished as the tournament’s leading run-getter, in their ranks. Australia and England had forgettable campaigns, coming up short against the big teams after making mincemeat of the minnows. Defending champions Pakistan were fortuitous to reach the semi-finals as their batsmen never really got going and, against South Africa in the semi-finals, their luck finally ran out while chasing 261. New Zealand, boosted by Man of the Tournament Tim Southee, were impressive before losing to India in a narrow run-chase under lights and cloudy skies in the other semi-final. South Africa’s captain Wayne Parnell had played a major role in ensuring their passage to the summit clash, picking up the most wickets in the tournament en route. But they had lost to India in the group stages and lightning did strike twice. India under the leadership of Virat Kohli, after being bowled out for 159, emerged triumphant by 12 runs under the D/L method and were crowned champions for the second time. The 2010 Under-19 Cricket World Cup was held in New Zealand in January 2010. The tournament was hosted in New Zealand after the ICC took it away from Kenya on the flimsiest of reasons which ridiculed its own mission to spread the game. Kenya were further kicked by the ICC as their side was not allowed to participate as it had not won the African qualifying event – a weakened side had been fielded as at the time, as hosts, they did not need to qualify. As it was, New Zealand did a decent job but crowds were dismal and the group stages were as tediously predictable as in the senior tournament, with the better-funded big nations dominating. South Africa did beat Australia in a good match but a dead rubber. The competition came alive in the quarter-finals as West Indies beat England and Sri Lanka defeated South Africa. The best tie of the competition came when Pakistan beat fierce rivals India by two wickets with three balls remaining in a low-scoring match. The final between Australia and Pakistan was a rematch of the first tournament, and Australia won by 25 runs in a game where fortunes ebbed and flowed throughout. 2012 Under-19 Cricket World Cup was held in Tony Ireland Stadium, Australia. Along with the 10 ten test playing nations, Afghanistan, Nepal, Papua New Guinea, Ireland, Scotland and Namibia also participated in this tournament. Australia lost against India in the final on 26 August 2012. India’s third U19 World Cup means they tie for the most with Australia. Sri Lanka could not go through into the last eight but won the Plate championship by defeating Afghanistan by 7 wickets. Reece Topley of England was the highest wicket taker whereas Anamul Haque of Banglasdesh was the top run getter. India won the final against Australia with 14 balls to spare and 6 wickets remaining. Captain Unmukt Chand played a match winning innings of 111* not out in 130 balls with the help of 6 sixes & 7 fours. Sandeep Sharma also excelled with four wickets under his belt. 2014 Under-19 Cricket World-Cup was held in Dubai(U.A.E) in 2014. It was the first time that U.A.E hosted an ICC event. Afghanistan was the only non-full member to qualify for the Quarter Finals. This was the first time that Afghanistan reached the last eight of this tournament, courtesy of their stellar performance against Australia in the group stage. In fact, this was the second time that a non-test playing nation qualified for the Super League/ Quarter Finals, Nepal being the first one in the 2000 edition. India wobbled in the Quarter Finals against England and finally lost in the final over. This was the first semi-final berth for England in last four editions. Pakistan beat England in the semis to reach its fifth Under-19 Final, becoming the first team to do so. South Africa beat Australia in the second semi-final. In a one-sided final, South Africa beat Pakistans and claimed its maiden U-19 World Cup title. Corbin Bosch, son of former South African cricketer Tertius Bosch, was the Man of the Match in the finals and Aiden Markram was the Man of the Series. South Africa did not lose even a single match in the entire tournament. † The Plate Championship is played among teams not qualified for the second round and is treated as play-off for 9th position as 8 nations advance to the second round of the main tournament. ♦ Officially, no semi finals were played in this tournament. These teams were the 3rd and the 4th ranked teams in the Super League. The ICC Women’s Cricket World Cup is the premier international championship of women’s One Day International cricket. The event is organised by the sport’s governing body, the International Cricket Council(ICC). It was originally administered by the International Women’s Cricket Council until the two associations merged in 2005. The first tournament washeld in England in 1973, two years before the first men’s tournament. Participation in the tournament has varied through the eight competitions: fifteen different teams have played, but only Australia, England and New Zealand have appeared in every tournament. India have appeared in all but two of the competitions. Jamaica, Trinidad and Tobago and Young Englandhave all appeared in just one tournament: in each case, the first competition, in 1973. The most recent tournament, the 2013 Women’s Cricket World Cup, was held in India for the third time in February. In the final Australia beat West Indies by 114 runs at the Brabourne Stadium. Women’s international cricket was first played in 1934, when a party from England toured Australia and New Zealand. The first Test match was played on 28–31 December 1934, and was won by England. The first Test against New Zealand followed early the following year. These three nations remained the only Test playing teams in women’s cricket until 1960, when South Africa played a number of matches against England. Limited overs cricket was first played by first-classteams in England in 1962. Nine years later, the first international one day match was played in men’s cricket, whenEngland took on Australia at the Melbourne Cricket Ground. Talks began in 1971 about holding a World Cup for women’s cricket, led by Jack Hayward. South Africa, under pressure from the world for their apartheid laws, were not invited to take part in the competition. Both of the other two Test playing nations, Australia and New Zealand were invited. Hayward had previously organised tours of the West Indies by England women, and it was from this region that the other two competing nations were drawn; Jamaica and Trinidad & Tobago. To make up the numbers, England also fielded a “Young England” team, and an “International XI” was also included. Five South Africans were invited to play for the International XI as a means of compensation for the team not being invited, but these invitations were later withdrawn. The inaugural tournament was held at a variety of venues across England in June and July 1973, two years before the first men’s Cricket World Cup was played. The competition was played as a round-robin tournament, and the last scheduled match was England against Australia. Australia went into the game leading the table by a solitary point: they had won four matches and had one abandoned. England had also won four matches, but they had lost to New Zealand. As a result, the match also served as a de facto final for the competition. England won the match, held at Edgbaston, Birmingham by 92 runs to win the tournament. The final was played as a day/night game. The final was decided by the Duckworth–Lewis method. The “Year” column refers to the year the World Cup was held, and links to the article about that tournament. The links in the “Result” column point to the article about that tournament’s final game. Links in the “Winners” and “Runners-up” columns point to the articles for the national cricket teams of the countries, not the articles for the countries. There were no finals in 1973 and 1978 with the top team in the round robin competition being declared winners. 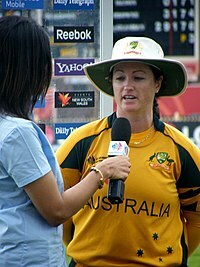 Karen Rolton won the title twice as part of the Australian team.